The evolution of mobile computing has HD video cameras in cellphones, entire libraries of music contained on devices that slip into a jacket pocket, and centuries of literature stored on an e-reader that size of a book. With the explosion of mobile computing and ongoing improvement of laptop CPU power and graphics acceleration, one issue still remains – storage. You may have the latest and greatest laptop on the planet, but without the necessary storage capacity to carry around your 1000 hours of music, entire DVD video collection, and decades of digital pictures you may need to carry around additional media to store all your goodies. Worse yet you may be forced to pick and choose what items to keep on the local drive and which files to leave at home – what if I need those files on the road? Seagate continues to answer the cries of road warriors and digital hoarders media enthusiasts. 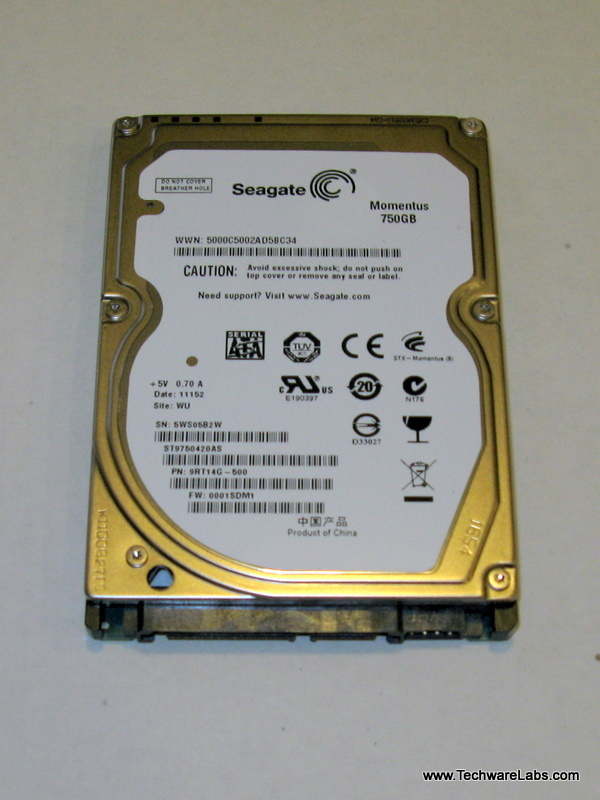 The latest in the momentus line of 2.5″ SATA II laptop hard drives, the model ST9750420AS or 750GB answer to your prayers. Will reviewed the 640GB drive late last year commending the drive’s overall performance and Seagate’s reliable, high-performing drives. The 750GB drive up for review today is the Mac Daddy of the momentus line weighing in at 7200 RPM with a 16MB cache. Join us as we put Seagate’s latest momentus model to the test. 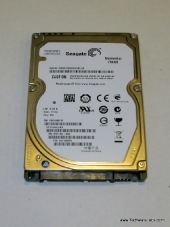 The Momentus family of 2.5-inch laptop drives offers innovative options and features, such as capacity up to 750GB, two different performance speeds, and three significant features. Seagate SmartAlign™ technology provides a transition to 4K sectors without the need for software utilities. Seagate G-Force Protection™ technology can detect when your laptop is in a free-fall, swing the drive heads to a safe zone and keep the data safe. All new drives,whether SSD,SSH or HDD should be SATA III 6gb/s,with backward compatibility for SATA II ans SATA 1. The switch needs to be made,NOW! Rotational media and most released SSD’s barely max out the bandwidth of SATA-IO spec SATA II, releasing all drives with SATA III as standard would increase costs so the switch is not totally necessary right now.